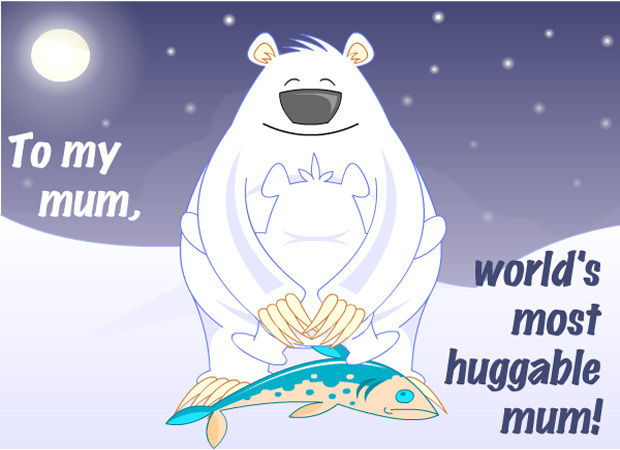 This mothers day e-card starts off with a picture of a big polar bear and a baby bear walks up to it and gives it’s mum a fish. They have a big hug and text appears saying "To my mum, the most huggable mum. Happy Mother Day". This is a great e-card to send your mother for mother’s day.